The chief engineer of an Indonesian general cargo vessel is in a critical condition in hospital following a fire in the ship’s engine room yesterday morning at Tanjung Perak port in East Java. The ship, Ise Baru, was due to sail to North Borneo when an explosion and ensuing fire broke out on the 29-year-old ship. The chief engineer suffered 80% burns and threw himself in the water where he was rescued and taken to hospital. “At first it seemed a puff of smoke, and then the sound of an explosion. After that flames emerged from the vessel. Then all the crew scrambled to save themselves,” one of the crew told local media. Authorities are still investigating how the accident happened. The fire was eventually doused after six hours. 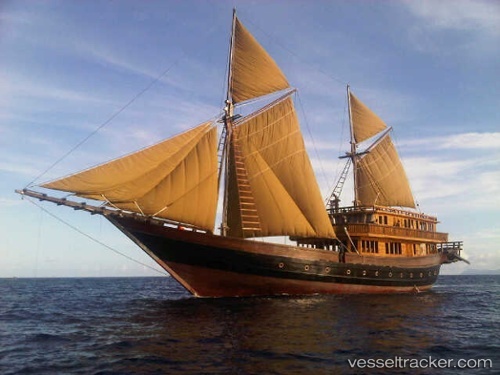 The vessel is owned by local firm Indah Lines. Evergreen Marine Corporation, the largest container shipment firm in Taiwan, said Friday that it will work with two Chinese counterparts to launch shipping services between China and Indonesia later this month. Evergreen Marine said it will provide the new weekly service jointly with China's COSCO Group and China Shipping Container Lines Company, starting May 20, to take advantage of booming trade activity in the region. The three partners will assign four 2,000-2,700 twenty-foot equivalent unit (TEU) vessels to serve the new route. The four vessels will take turns serving the route. Each of the four will start from China's northern port of Qingdao, and sail to Shanghai, Xiamen and Shekou in China, Pasir Gudang in Malaysia, Singapore, and Surabaya in Indonesia before returning to Qingdao via Singapore. Each journey will take 28 days. In March 2015, Konecranes received an order from PT Pelabuhan Indonesia III (Persero) in Surabaya for three Ship-to-Shore (STS) cranes. The cranes will be delivered to the PT Terminal Petikemas Surabaya (TPS) at the end of 2016.